Mr. O’Malley was more than just a great owner for his team. He was great for his sport as well, a transcendent figure who had the vision and courage to make major league baseball a truly national sport by blazing the trail west when he moved the Dodgers to L.A., and persuaded Giants owner Horace Stoneham to join him by taking his team to San Francisco. Mr. O’Malley had wanted to stay in Brooklyn and build a new, bigger stadium there to replace small, antiquated Ebbets Field. He was even considering building a domed stadium. Robert Moses, the public official known as New York City’s master builder, refused to approve Mr. O’Malley’s plan. Moses wanted the new stadium to be built in the borough of Queens in the area where Shea Stadium was eventually constructed. After all, Moses figured, what was Mr. O’Malley’s realistic alternative. Only the most groundbreaking decision in sports history, opening up the western half of the country from Seattle to San Diego to major league baseball with the NBA and NHL eventually to follow. I had a great relationship with Mr. O’Malley. In the early 1960s, he got hooked on playing golf and built a nine-hole course in Vero Beach. 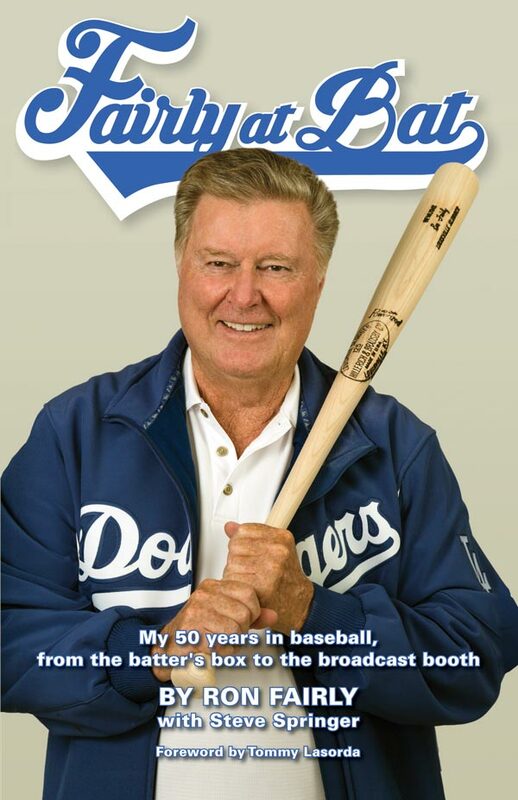 Later, he built the 18-hole course we all played on down the street from the Dodgertown complex. There was only one stipulation for the players. No golf carts for us. We had to walk. The front-office people felt the extra walking would strengthen our legs. No argument about that. On the day of Mr. O’Malley’s annual golf tournament and barbecue at Dodgertown, (Manager Walter) Alston limited our baseball activities to a short workout so that those of us who wanted to head to the golf course would be free to do so. It was only supposed to be a half-day work for the players. Not for me…They had me shagging extra fly balls and fielding extra ground balls. They never hit balls to me, instead hitting them to my left and to my right so I had to run after them. Instead of running 10 wind sprints, I had to do 15. When I was done, I took a quick shower and rushed to the golf course just in time to tee off. I found out I was playing with Mr. O’Malley, team Vice President Jim Mulvey, and Monsignor John Patrick Kelly. The stakes were $5 a man. Obviously, he was not my partner. On the first hole, I hit a good drive that landed in the fairway. I started walking to my ball while everyone else was riding in their carts. Remember, as a player, I wasn’t allowed to use a cart. As he took off, he laughed over his shoulder and told me I could move my ball. We had a good time, and yes, Mr. O’Malley won the money. At the barbecue that night, Monsignor Kelly told me about his experience playing golf with Mr. O’Malley. “He sends the Dodger plane to New York to pick me up,” the monsignor said, “brings me here for a couple of weeks, pays for my food and lodging, entertains me, and then takes my money on the golf course. He’s always in charge of keeping everyone’s score and there were a couple of rounds where I think it may have been Mr. O’Malley’s pencil that beat me. It was all in fun, but Mr. O’Malley liked to compete and didn’t like to lose. That was evident from the way he ran his ballclub. 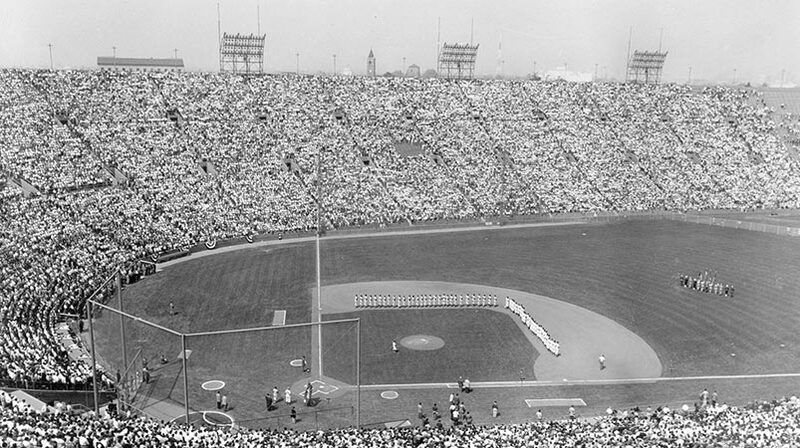 Outfielder Sandy Amoros made the most memorable play of Game 7 of the 1955 World Series between the Dodgers and the Yankees. With the Dodgers leading, 2-0, at Yankee Stadium heading into the bottom of the sixth inning, Alston, having hit for second baseman Don Zimmer in the top half of the inning, moved Jim Gilliam from left field to second and sent Amoros into left. It proved to be Alston’s smartest move of the game. With runners on first and second and nobody out, Yogi Berra sliced a ball toward the left-field corner that appeared to be headed for extra bases. Amoros, who was playing the left-handed hitting Berra in left center, got a great jump on the ball and raced toward the seats near the foul pole. Amoros, who was left-handed and therefore wore his glove on his right hand, stretched his right arm out as far as he could, caught the ball, spun around, and threw a strike to Pee Wee Reese, who was near the third-base line. Reese, in turn, fired the ball to (Gil) Hodges at first base to double up Gil McDougald, who couldn’t get back to the bag in time. The Dodgers hung on for a 2-0 victory. If Gilliam had still been in left, the catch probably couldn’t have been made. He was fast, but he couldn’t have matched Amoros’ blazing speed. And because Gilliam was right-handed, he would have had to stretch his gloved left hand across his body to reach the ball, probably leaving him short of his target. If Amoros had not caught that ball, it might have caromed around the left-field corner, enabling both runners to score and tie the game. And the defining moment in Brooklyn Dodger history, the franchise’s first world championship, might not have happened. Amoros’ last season in the big leagues was 1960, after which he fell on hard times. He moved back to Cuba, but refused an offer by Prime Minister Fidel Castro to manage a Cuban summer league team. Anyone who turned down the Cuban dictator did so at their own peril. In Amoros’ case, Castro confiscated his ranch and took everything Amoros had, but forbade him from leaving the country. In 1967, Castro finally allowed Amoros to return to the United States. It was around the first of September when major league teams could expand their rosters. Amoros needed just a few days on a big league roster to be eligible for the Major League Baseball players’ pension plan. Dodgers President Walter O’Malley, remembering what Amoros had done for the team more than a decade earlier and still considering him part of the family, offered him a contract. We were in Houston to play the Astros when Amoros arrived. (Dodger Coach) Preston (Gomez), who could certainly relate to leaving Cuba, met his countryman at the airport, and brought him to the team hotel. The next morning, I happened to meet Preston in the lobby, and he told me about Amoros’ condition. He was skinny, had no money, and his clothes were old, torn, and dirty. Preston was waiting to take Amoros to buy him new clothes. Preston understood how looking successful could instill confidence in a ballplayer. Preston himself always wore a suit and tie when he was with the team. When Amoros met us, I saw what Preston was talking about. Amoros didn’t look good, but he did have a big smile on his face. I went along to the men’s store, where we bought Amoros slacks, sport coats, two pairs of shoes, and accessories. We wanted him to feel good about himself when he walked into our clubhouse. I know Preston went back to the store a few days later and bought some more things for Amoros, and added still more items to his wardrobe when we got back to L.A. He was certainly not in any condition to go into a game, but all the players went out of their way to make him feel welcome and part of the team. He came out every day, one of the first to arrive at the ballpark, that smile never leaving his face. Amoros remained on the team enough days to qualify for the pension plan. He wasn’t on our team long, but, for a brief, shining period, he was a kid again, wearing a Dodgers uniform, basking in his memories.